As a B2B marketer, you’re always looking for ways to more effectively reach your goals and support sales by bringing in qualified leads and generating demand for your company’s products and services. Traditionally, marketers do all they can to maximise their voice in the market and engage the largest number of potential buyers with broad reaching demand generation techniques. Then they nurture those leads, guiding them down the funnel towards sales. This approach, often designed to cast a very wide net across a large number of companies, can be effective. However, it’s not the only way to organise your sales and marketing efforts, in fact, there may be a better way depending on the nature of your market. 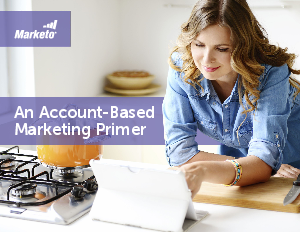 This white paper revelas how Account-based marketing (ABM) can be an effective alternative approach to marketing for many businesses. Download this paper to learn about account-based marketing, its benefits, and if it's right for your organisation.